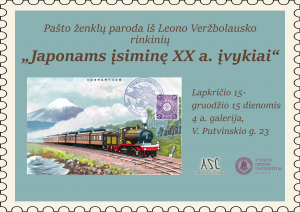 On November 15 – December 15 VMU Centre for Asian Studies invites you to visit Japanese post stamps exhibition “Memorable events of the 20th Century for Japanese people”. 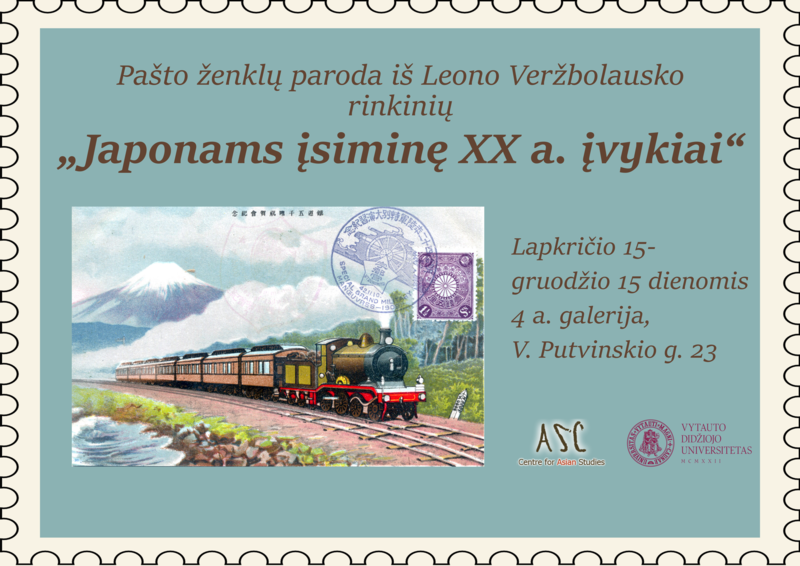 The exhibition displays a part of Mr. Leonas Veržbolauskas collection of Japanese post stamps. The exhibition is located in the 4th floor gallery at the VMU Multifunctional Research and Studies Centre (V. Putvinskis st. 23). The collection portrays the main events that occurred in Japan over the course of the 20th Century covering various aspects of the country’s life including World War I and World War II, international relations, technological advancements and trends, culture, sports, etc. This exhibition provides a unique way to learn about Japan’s history through the scope of Japanese perception.